The Emblem of the Fellowship is “The open Bible standing between a handshake and two twigs joined to form a letter “V” and all on a circular blue background”. Bible (white) stands for the teaching of Christ. Handshake (Gold) stands for Fellowship. Young people living together in fellowship and love according to the teachings of Christ. 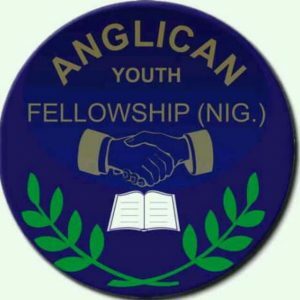 To help in projecting the Christian principles and teachings in accordance with relevant provisions in the national constitution of the parent body, “The Anglican Youth Fellowship (Nigeria)”. To provide opportunities for the understanding and progress in corporate worship and private prayers: to enable young people to learn together the meaning of Christian faith and its relevance to the life of their generation. To lead young people to offer their work and leisure to God as members of this Church, in local, national and international levels. To give due recognition to the importance of fitness of body and mind, and the provision of suitable varied forms of recreation in all Christian Youth organization and groups. To help inculcate the spirit of love, peace and unity as enshrined in the Bible. Membership is open to male and female registered members of Anglican Diocese of Calabar. Boys and girls within the age bracket of 10 – 18 years shall be admitted as Youth stars, while 19 years and above as Adults. Admission of a new member is conducted at the general meeting while Automatic Admission accrue to an applicant who has a testimonial or certificate to prove his or her membership of A.Y.F elsewhere. Sisters forum is an arm of the AYF that gives opportunities to the female in the AYF to discuss issues peculiar to the women and for the purpose of chatting a course for the smooth passage into successful Christian marriage and motherhood. The forum is not intended to be a spinsters’ group but a departmental fellowship sharing its aim and aspiration. Male members shall wear a pair of navy blue trousers, a white shirt and navy blue/black tie. Female members shall wear a navy-blue skirt (beyond the knee), white blouse/shirt and a navy blue/black scarf or beret. The Fellowship’s executive meeting holds on every first Saturday of the month at 6p.m, while the general meeting holds on every second Sunday of the month after the 10a.m Service. Calabar Diocese Was created and inauguratd on the 20 December, 1990. Ezenekwe was ceremony was performed by the Diocesan –RT. Revd. W.
Our 3 Diocesan president was Bro. 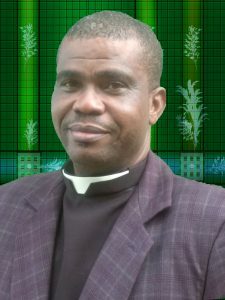 mike Egbo was elected chairman of the council and later elected as the president of the Diocesan council. Our 5 Diocesan president is Bro. Justus chiana from2014 to date.